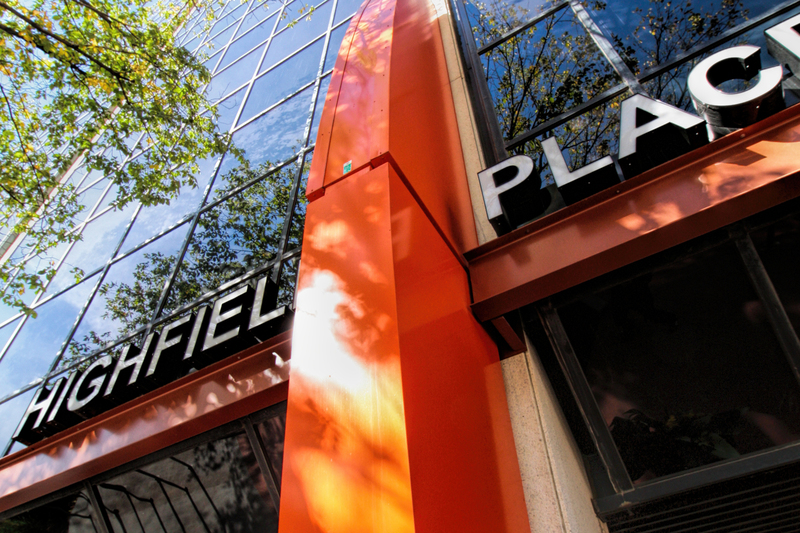 In 2014 BR2 Architecture was selected to provide design consulting to the Highfield Place exterior façade. 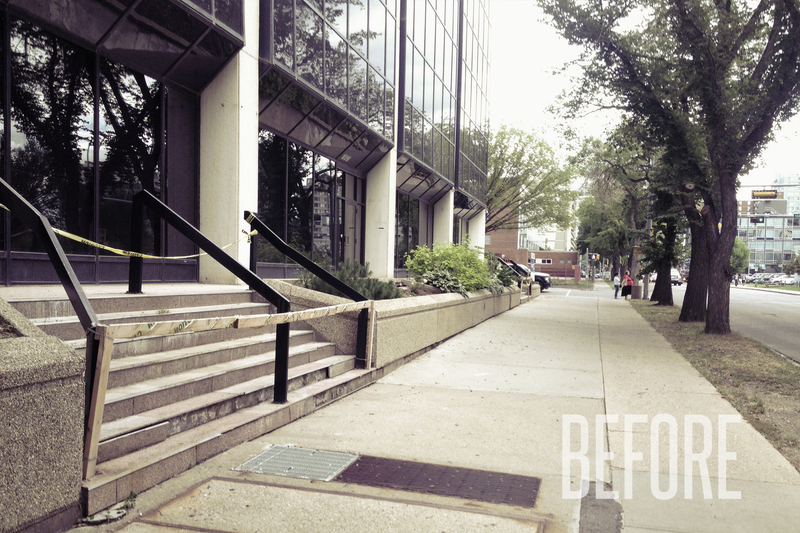 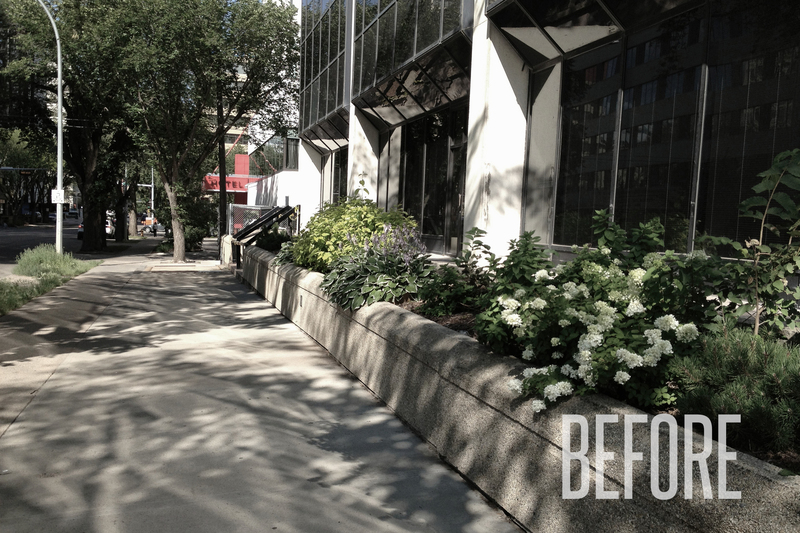 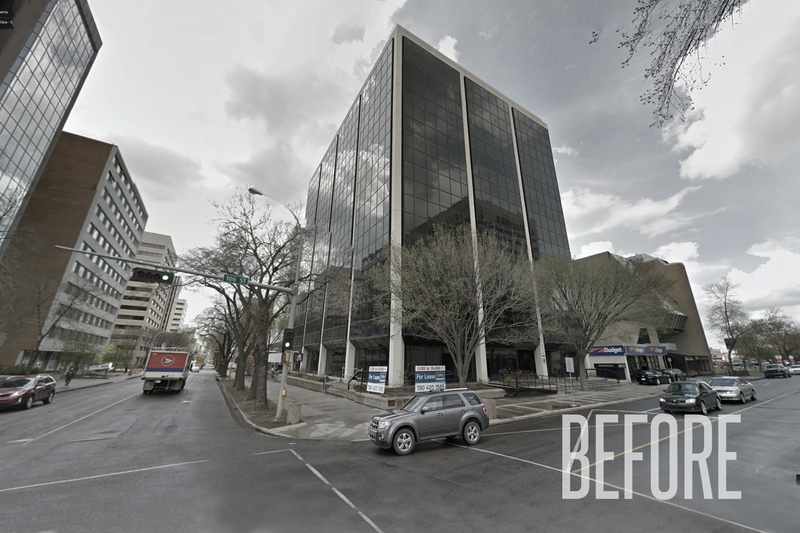 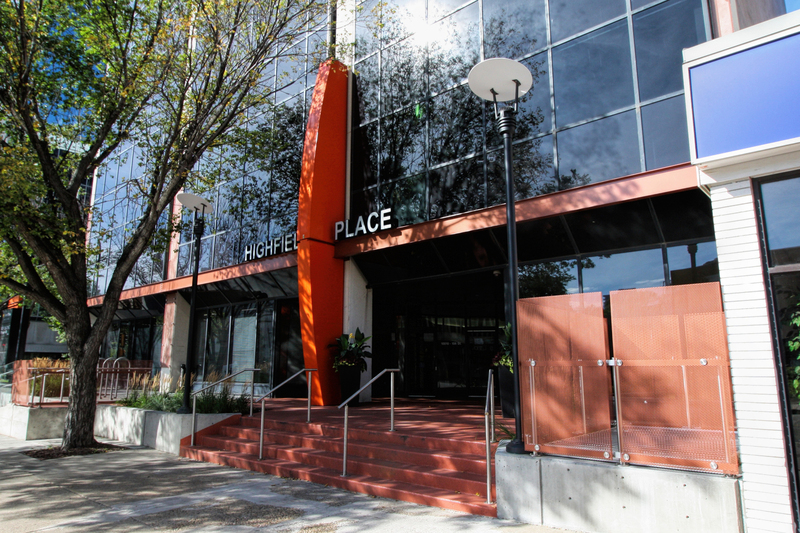 The 37 year old commercial office building, located in Edmonton’s downtown core, needed a site improvement to provide amenities that would attract new tenants to the building as well as improve the streetscape. 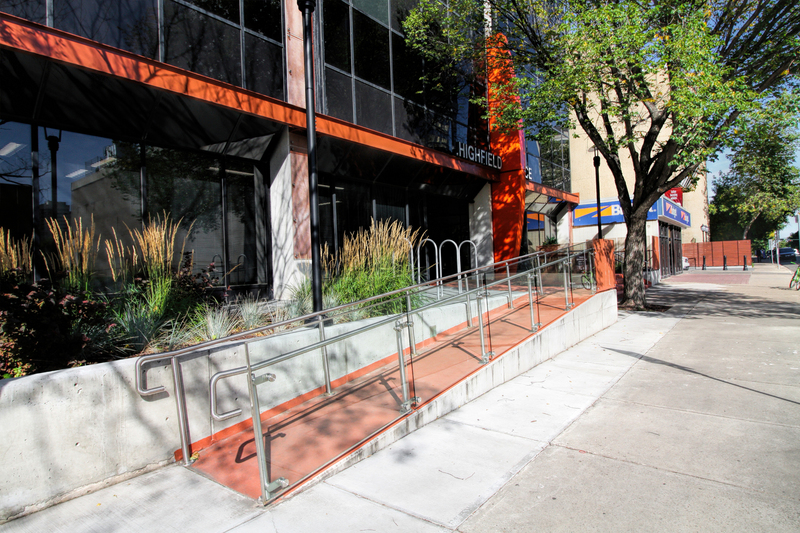 By attracting businesses such as restaurants and retail establishments to the main floor of the building, new activity and opportunities would enhance the infrastructure of the community and provide increased selection of opportunity for the public. 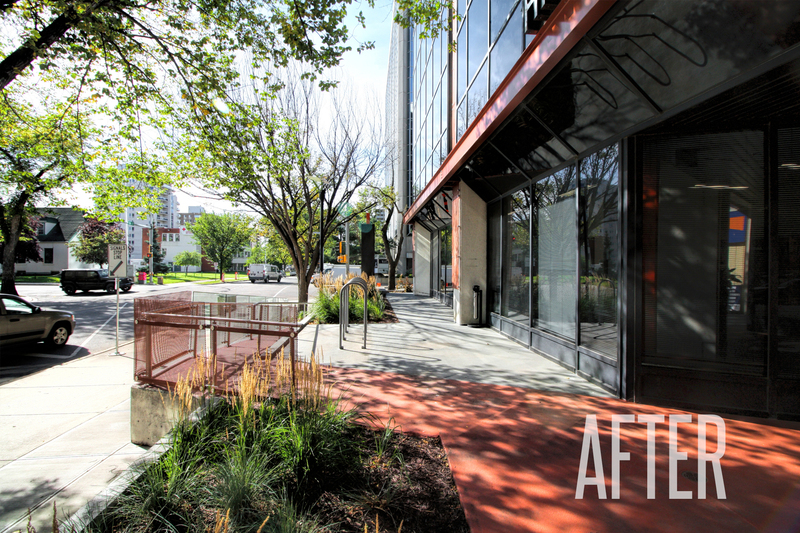 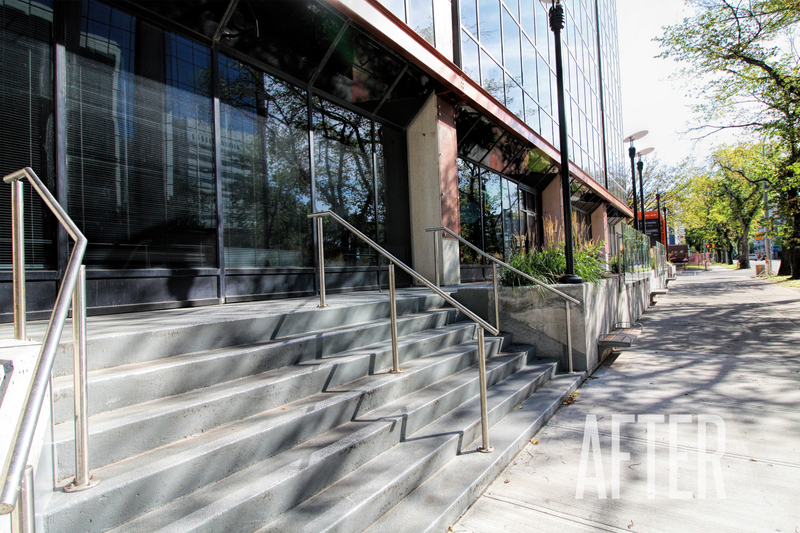 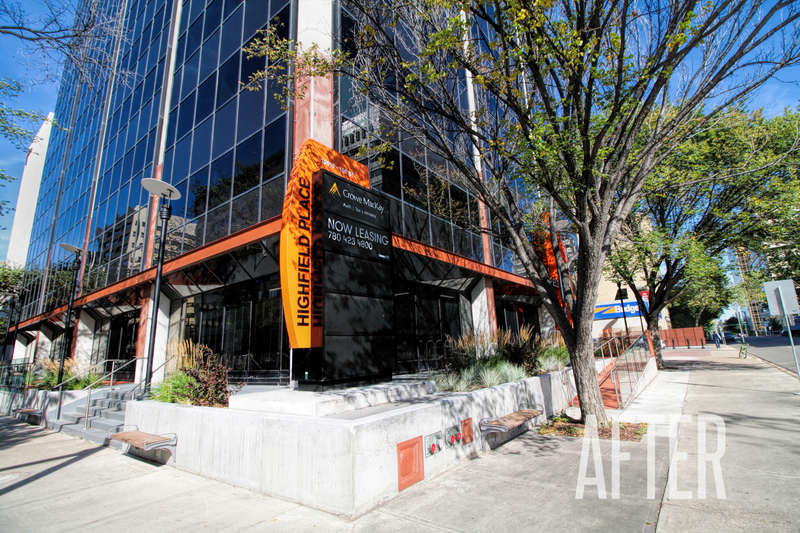 The aesthetics and landscape of the building upgrade has improved and revitalized the corner of 100 Avenue and 106 Street significantly, bring in the colour and nature to what was mainly concrete. 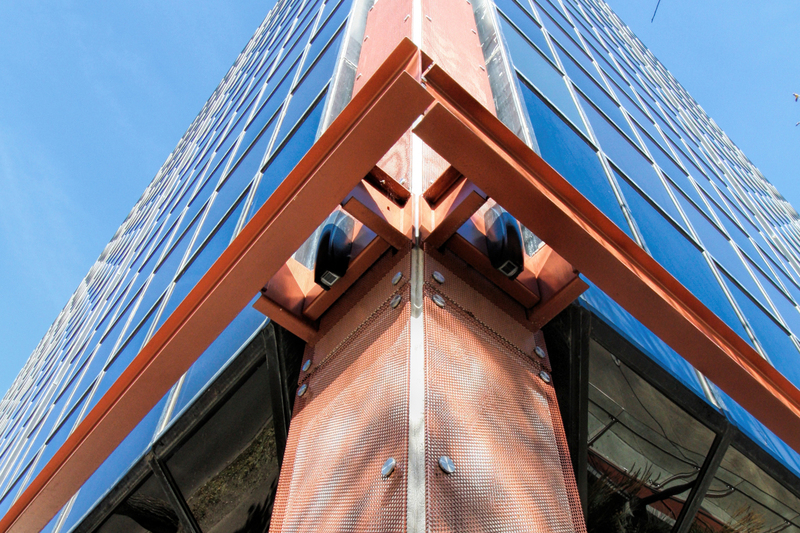 Tenants of Highfield Place benefit from the improved access to the ground level retail spaces as well as the use of outdoor patio spaces with additional lighting and seating.